March 5, 2011 1-4pm Tam Valley C.C. Manny Dominguez always brought his kind and sincere wisdom to all he would do and to all he would meet. His calm intelligent demenor always brought peace to the chaos that would often confront him. The chaos was no match to Manny's peace. Manny was always first a teacher one who taught through example and humor. He would challenge you to produce your own insights. I'll never forget the protractor and compass set he labled 'tools of math construction' displayed on the cutting room wall. 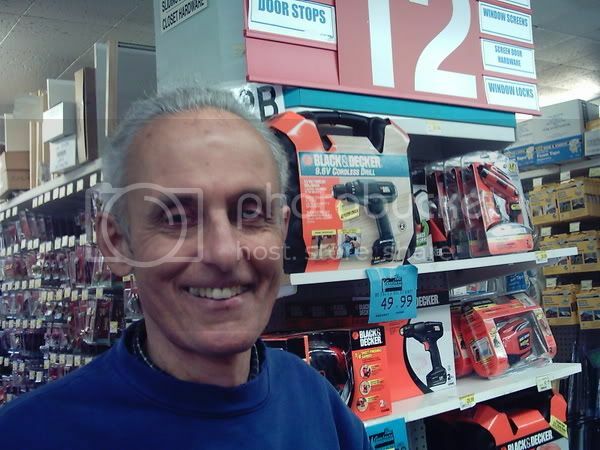 I was fortunate to assist Manny in the cutting room of Goodman's Building Supply from 2004 through 2007. I learned more things about practical solutions, the beat scene in New York City, Bob Dylan, and calculus in those three years than I could have imagined. I was proud that Manny was my friend and mentor. 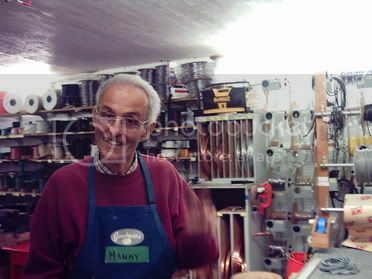 Manny enriched the lifes of his students as well as his customers. He was a skilled craftsman and a remarkable problem solver always creative. I watched him produce products that never existed before on a customer's whim. He loved his wife and sons deeply and revealed this through his actions more than words. 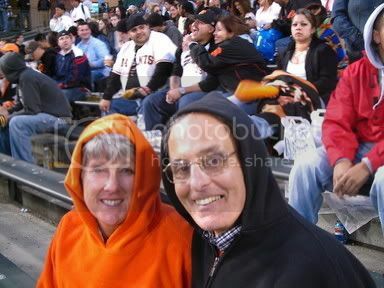 Manny Dominguez exemplified strength through humility a rare virtue in southern Marin. Hundreds if not thousands of Southern Marinites will miss Manny Dominguez. I know I will. A boy named Sam lived in a town by a tree-covered mountain. He lived in such a simple way that his friends nicknamed him Simple Sam. Sam liked to hike up the mountain to draw pictures of the streams, trees, birds, animals, and insects. Some men who lived in the town hiked up the mountain to cut down trees for building houses and making furniture. Whenever they cut down tall old tree, the men would plant a young tree in its place. People from the other towns asked the men to cut down more trees so they could build houses and furniture too. The men got busy cutting down the tall old trees that they didn't always take the time to plant the young trees. One day Sam hiked up the mountain and saw treeless spaces. He knew this meant fewer branches for birds to build nests in, fewer acorns for the squirrels to eat and store away for winter, less shade on hot days, and less cover on rainy days. Sam drew pictures of the treeless spaces but no one wanted to look at them. The rainy season came and there were fewer trees to drink up the water. Dirt and rocks that old trees use to hold among their roots, slid down the mountain and crashed into the town. Sam drew more pictures but the townspeople still paid no attention blaming the slides on unusual rainy weather. Then one day it didn't rain and Sam was able to hike up to the top of the mountain. He looked down and saw some long old trees the men had cut down just before the rains began. Their branches had been cut off to make it easier to get them down the mountain. Sam was so high above them that when he tried to draw them they were little more than straight lines an his paper. Then he spotted a few short young trees that the men had planted before the rains came and they turned into a few crossed lines when he tried to draw them. The straight lines for the old cut trees and the crossed lines for the young, newly planted trees reminded Sam of the symbols for addition and subtraction he'd learned at school. His teacher called subraction "take-away" and addition she called "put-back". Sam remembered her asking, "If you had five apples in your basket and you took away three apples and then put back two apples, how many apples would you have in your basket?" Sam began drawing very simple pictures with straight lines as "Take-away Trees," and crossed lines as "Put-back Trees." He tacked his pictures up all over town and the people began talking about them. It wasn't long before everyone admitted that Sam was right. Cutting down the old trees without planting young ones was the reason for the slides that were wrecking the town. A town meeting was held and the men who were cutting and planting trees agreed to spend less time cutting and more time planting. By the time the next rainy season came, enough young trees were planted to drink up the rainwater and hold the dirt and rocks among their roots. The slides stopped! Everyone in the town was proud of Sam. His "Take-away" and "Put-back" symbol pictures had saved the town. His friends were so impressed that they changed his nickname from "Simple Sam" to "Symbol Sam". "Symbol Sam" was first published in Spring/Summer, 1991 issue of Mind Matters Review. I came upon this verse that seemed to go perfectly with Manny's story. 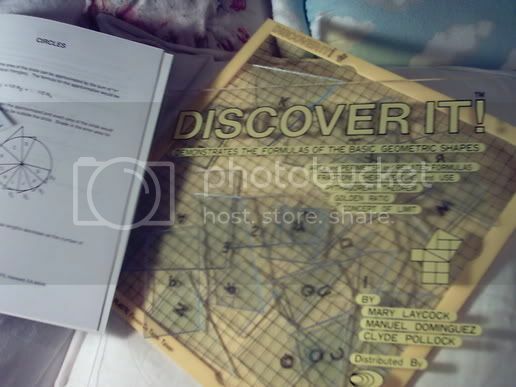 Manny developed a revolutionary math manipulative called "Discover It" using gridded plastic shapes and an ineractive guide book that allowed students to 'discover' geometric and agebraic principles on their own. This is the tool he is refering to in this brief video.